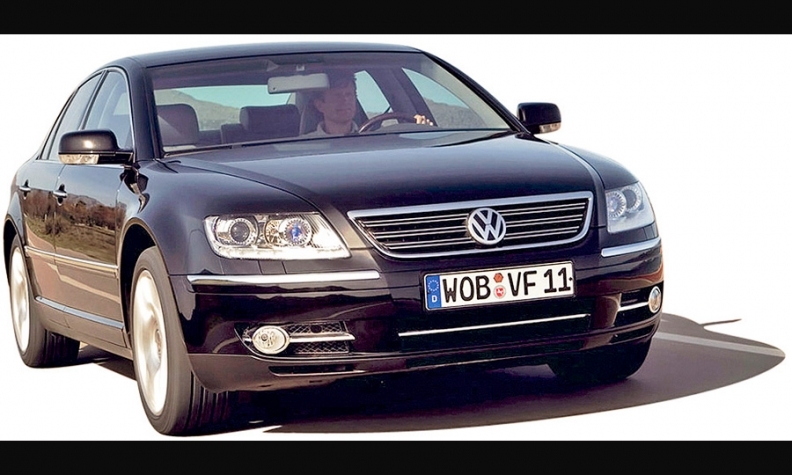 VW Phaeton will return to the U.S. The timing of the U.S. launch and prices were not disclosed. Volkswagen plans to offer a redesigned version of the Phaeton luxury sedan in the United States. The new Phaeton, scheduled to go on sale in Europe around 2015, could be shown at the Detroit auto show in January. The current version of VW's most expensive car was pulled from the U.S. market seven years ago because of weak sales. "A brand as large as Volkswagen needs a halo project in the upscale segment," CEO Martin Winterkorn told Bloomberg at a conference in Germany, confirming that the Phaeton will return to U.S. showrooms. "We've seen what happens to brands that don't have that kind of project." In the United States, the Phaeton never approached its initial sales target of 5,000 a year. VW sold 2,814 units from 2003 through 2007, peaking at 1,939 in 2004. Slow sales were attributed in part to a price that started at $66,000 and topped $100,000 for the version with a 12-cylinder engine. In Germany, the car starts at 70,000 euros (about $92,000 at current exchange rates). The new Phaeton will share underpinnings with the Audi A8 sedan and a hybrid version is planned, said company sources, who asked not to be named.